inaifer Chakraborty started off her career as a catering assistant holding a Diploma in Hotel Management. She then moved on to administration in an Architect Firm and then a reputed bank. The shift from one career to another was at a time when she felt that there was something amiss in what she was doing. Binaifer wanted to find out what she connected to from deep within. She continued exploring alternative sciences and continued her meditation and healing classes by the side as well. Her interest heightened further and she went on to become a Reiki Master. And learnt reading Tarot Ganjifa and Cowries as well. It was at this time that she realized that her connect was in this field and she started working full time in this profession. Her quest for learning has resulted in her also completing a course in Candle Magick/Healing. She has completed 2 levels in hypnotherapy from the California Hypnosis Institute of India. Binaifer also practices Pendulum Dowsing and has a lot of experience under her belt in the same. 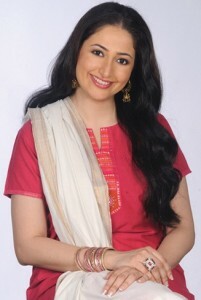 She has answered queries pertaining to wealth, money, health, work, family, relationships, marriage, travel and much more.